Summer is almost here, and for us Floridians, it’s ALREADY here! Some Northerners may still be scooping up snow, but we’ve seen temps higher than 90 already here in Tampa Bay. We’ve got some great holidays coming up as well, Memorial Day, July 4th, and a lot of outdoor festivals and events. You know what works really well for summer parties? Oh yes, cupcakes. No cutting, messy knives, forgetting to buy tiny plates or piles of trash. 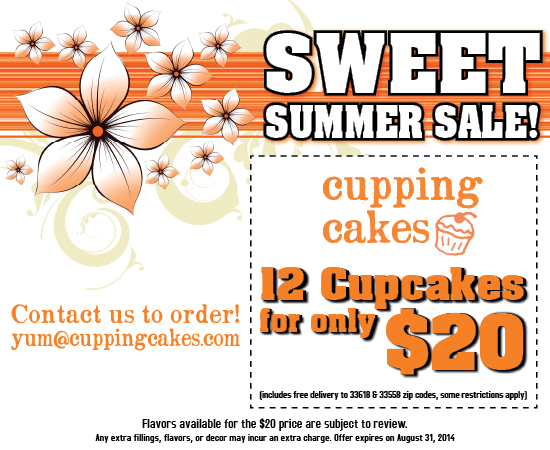 Cupcakes are single servings of deliciousness! Want more Summer Party tips and tricks? Click here! 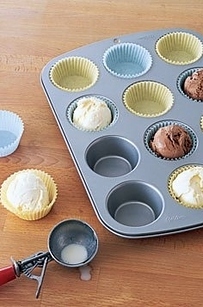 We like the single serving of pre-scooped ice cream, in the cupcake tins. The silicone re-usable wrappers make it even easier and eco-friendly! With all of these great events coming up, we’re offering you a deal you can’t refuse!